Fall is the season for Apple announcements. The company’s second big press event has been scheduled for this week on October 27—and it’s all about Macintosh. The biggest news will undoubtedly be the refreshed MacBook Pros. We’ve been getting rumors about this laptop for quite some time—and a lot of them point toward an exciting update. The most interesting feature we’ll get (if it turns out to be true) is the OLED Touch Bar, small touch screen that replaces the row of function keys. This Touch Bar would change depending on what app you are using, giving users more customizable and contextual options. It’s Apple’s answer to touchscreen laptops, an idea that Steve Jobs always hated and that pretty much every other laptop manufacturer has embraced. Other rumors point toward a slimmed down design, USB-Type C ports, SkyLake processors (instead of Kaby Lake for some reason), a Touch ID sensor, and stronger battery life. Considering all that, it looks like the the new MacBook Pro will be the primary topic of the Oct. 27 event. The second MacBook we’ll be getting is an update to the product that Apple simply called the MacBook, which is the slick, thin, 12-inch laptop we got in 2015. Last April, the MacBook got a small update that offered a faster processor and a new Rose Gold color option. 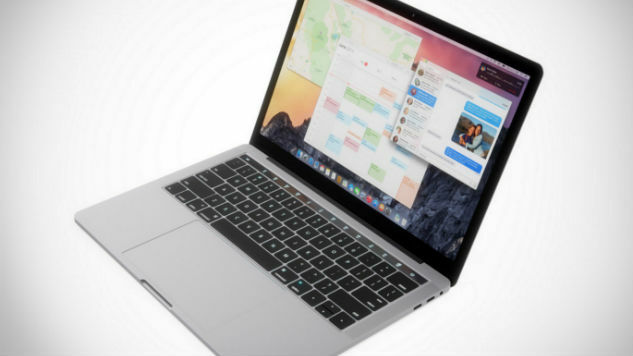 So what about this mystery 13-inch MacBook? Well reports are indicating that we’ll get some kind of 13-inch MacBook, either under the “MacBook” brand or the “MacBook Air” brand. this is purely speculation, but I have a feeling that Apple is phasing out the “Air” brand altogether. It’s already begun phasing it out in the iPad market with the 9.7-inch iPad Pro that got released earlier this year. As for laptops, it doesn’t make a lot of sense anymore either, especially considering the fact that it was created as an ultrathin option, which the new MacBook has replaced. My prediction is that we’ll get a 13-inch MacBook that is beefed up a little bit in terms of power and speed, as well as a price cut on the 12-inch MacBook. Where’s the inexpensive 11-inch laptop, you say? Well, Apple would probably rather point you toward either its 9.7 or 12.9-inch iPad Pro, which comes with a stand and keyboard. There’s no question that Apple is working on the desktop Macintosh products, both of which have been long overdue for an update. Recently, reports are pointing toward a release that is pushed into 2017, which is a bit of a disappointment. The report from Ming-Chi Kuo, a KGI Securities analyst, indicates that the new iMac and Mac Pro won’t be ready until mid-2017, therefore an announcement is unlikely. However, because only a MacBook and a new MacBook aren’t quite enough for a full Apple keynote, I’m guessing that we’ll get looks at the new iMac and Mac Pro. In particular, I could see us getting a look at a completely redesigned Mac Pro, similar to how Apple teased the product back in 2013 a solid six months before its release.